All year groups at Balliol use a phonics programme called 'Sounds-Write'. This teaches children how to blend and segment words using pure sounds. Children read a wide variety of phonic-based books. Once they are ready, they use a programme called 'Accelerated Reader' to test their reading comprehension and independent reading skills. Balliol uses a structured handwriting scheme called 'pen-pals'. 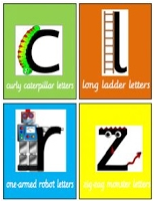 Pen-pals provides children with opportunities to develop motor control, learn and consolidate letter shapes and then move systematically onto joining in year one once they are ready. The aim of the scheme is to enable children to develop a fast and fluent handwriting style. Children are set maths homework via the my maths website. We aim to give children first hand experiences of learning wherever possible and we use trips and visitors to make learning as realistic as possible. When your child starts school, we ask for a general consent form for local visits. We always send a separate consent form for trips which involve transport. Parents are encouraged to accompany us on visits if they wish to do so as we always need to take along additional adults. We recognise that school trips are expensive and we are fortunate that our PTA (Friends of Balliol) makes a significant contribution to many of our school trips in order to make them more affordable to families. The governors policy on charging is to ask for a voluntary contribution from parents for school trips. No child will be excluded if they cannot pay, but we do appreciate your contributions and will always try to keep costs to a minimum.